Our Department of Driver Education is an accredited division of our Upper School. Our course in Driver Education is certified by the New York State Department of Education and is taught in accordance with standards set by the Departments of Education and Motor Vehicles. FACULTY – All instructors are trained specialists in Driver Education. Each is also an accredited secondary school teacher, licensed by the State to teach Driver Education. CURRICULUM – The curriculum has been designed to integrate the theoretical and practical aspects of driving. Weekly classes in theory are taught in conjunction with the in-car training program. All automobiles are dual controlled late model vehicles. The duration of the program is one school semester (16-18 weeks) with classes scheduled to begin each September and February. Summer program is a six week course requiring at least three days a week attendance. Each student’s program is carefully arranged in order to avoid conflict with other school obligations. STUDENTS – The Driver Education program is open to all students who have reached their 16th birthday by the first day of the month in which the course begins. In order to be considered for the course, all students must present written consent of a parent or guardian and written school permission. DRIVER’S LICENSE – Unrestricted senior license privileges will be granted at age 17 to all students who have successfully completed this program and have passed the Road Test of the Motor Vehicle Department. INSURANCE RATES – Automobile insurance rates are currently 10-15% Lower for male graduates of this course. TUITION – The cost of this comprehensive program is $550 payable in full at the time the application is submitted for enrollment. Checks or money orders should be made payable to: JIQ Driver Education Dept. 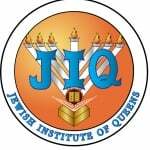 Please send the application and check to: JIQ, Driver Education Department, 60-05 Woodhaven Blvd, Elmhurst, NY 11373.